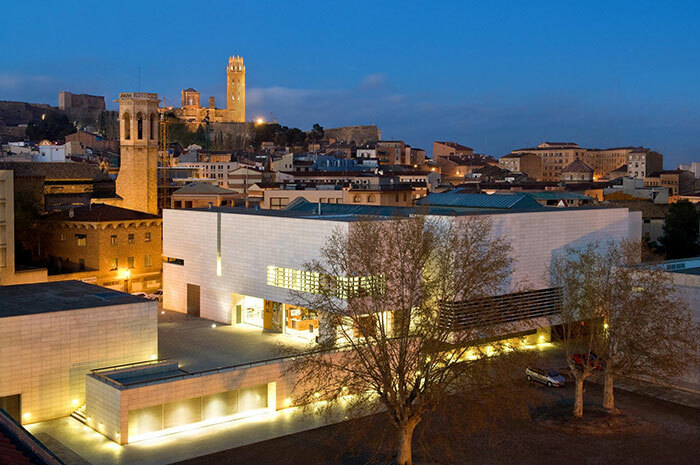 Here you are in Lleida on day two of your four-day tour of Catalonia, Spain. 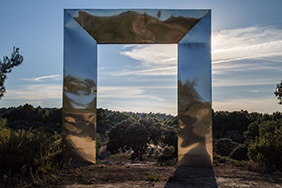 You are about two hours by car and one hour by train due west of Barcelona. The province of Lleida is a destination of contrasts from the lush vegetation, extraordinary vistas, and vineyards to the magnificent gorges created by rivers, the Montsec mountain range and Vall de Boí in the Pyrenees, to its historic—yet cosmopolitan—capital bearing the same name. To get your bearings, see the map here in Day 1 of Four-Day Tour of Catalonia. You can spend your time exploring vineyards, tasting local foods, and enjoying cultural experiences topped by shopping, shopping, shopping and a spa stay. 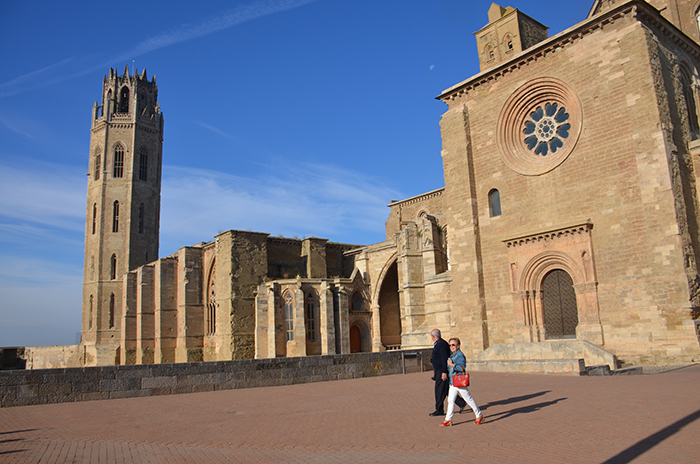 Lleida is a great destination for couples, parents traveling with adult children and even those who want to go solo! There are plenty of opportunities for active travel combined with luxuriating in all that the countryside has to offer. 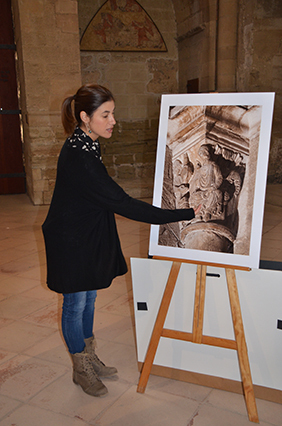 Your visit to the city of Lleida must begin with a tour through the 13th century Turó Seu Vella Cathedral located in the center of the city where you will see a spectacular 360-degree view of Lleida. The cathedral still stands, majestically overlooking the city in spite of a high turnover of often unruly tenants. If only the cathedral could talk about those who honored it and those who trashed it. The site was originally an early Christian cathedral, rebuilt as a mosque in A.D. 832, reborn as a Christian cathedral in 1149. 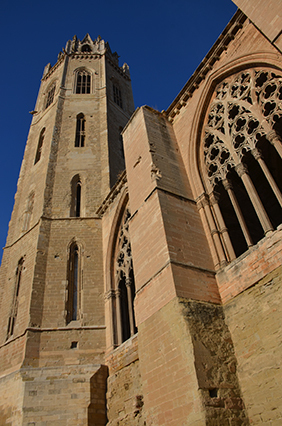 A later decree by clerics called for it to be rebuilt in the “Romanesque” or Medieval European style. 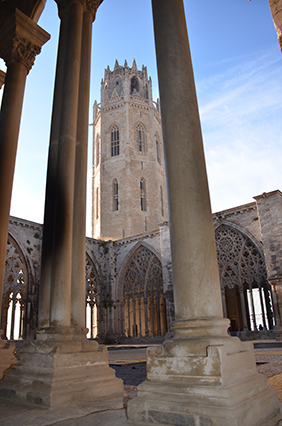 The first stone was laid in 1203, but it took some-300 years to complete the structures, including the church, cloister, bell tower, and canonical house. In its glory days, it was used as a church, of course. 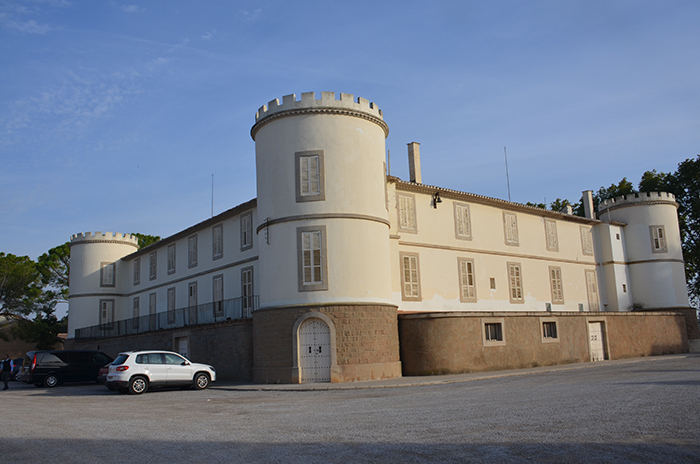 Later, it became a hospital and armory during the “Catalan Revolt” in 1640 and military barracks in 1707 when it was carved up into spaces for the troops and pretty much desecrated or burned. It became a concentration camp during the Spanish Civil War of 1936 and again a barracks through 1948. Even if you are not a history buff, the tour offered at the cathedral will have you riveted. The guides are passionate about their history and take you through the centuries and architectural details of the building and grounds. 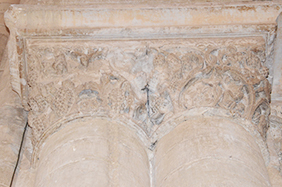 details of grapes, leaves, and baskets, reflecting the importance of wine or the trivia note that two of the original bells are still rung just as they were in the 15th century. The bells even have names. “Monica” plays at the quarter hour. “Sylvestra” plays on the hour. No light weights, each bell weighs some 5 tons. The tour costs 12 euros or about $12.80. While you are in the city, you might want to check out the shops. After all, Lleida is a shopper’s paradise. The main shopping area is 1.5 miles long with more than 450 shops. And then there are the specialty markets. You can catch “Rambla de Ferran” for antiques on Sundays, farmer’s markets on Thursdays and Saturdays, and special crafts markets at Christmas time. Mercat del Pla is a fashion outlet, located in a 1920s vintage building. Open every day, the outlet is a combination of permanent shops and some pop-up stores. 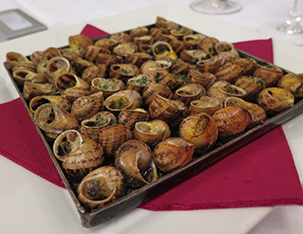 For foodies, Aplec del Caragol is a snail festival that takes place every May. This year, it will be held from May 26 to 28, 2017. Tons of snails are consumed, and there might even be a snail race or two. Now that you have had your city experience, it is time to head to the country to visit several vineyards and to have wine tastings. Located in Les Garrigues, a mountainous area, Mas Blanch i Jove Cellar is a small winery on the western border of the Priorat region. 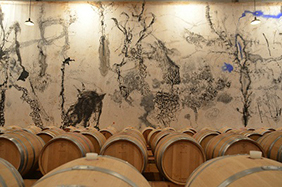 The winery opened in 2006 by winemakers who grew up in the business but wanted to add an artistic touch to the wines, the buildings, the packaging, and to the community. Their artistry is immediately evident when you arrive and see the winery built into the mountain, the roof covered with plants, and the building painted an earthy tone. Power is generated in part from the solar panels on the roof. They wanted the winery to “be in harmony with the surrounding landscape and to become part of nature itself.” They succeeded. They grow red grenache, cabernet sauvignon, tempranillo, merlot, white grenache, and macabeo grapes that all are picked by hand. The wines are all bottled under the name “Sao,” created from the word “sonorous,” which they say in Catalan means “maturity, perfection, and fertile earth.” The elegant label always bears leaves, evoking the vineyard’s passion for the land. 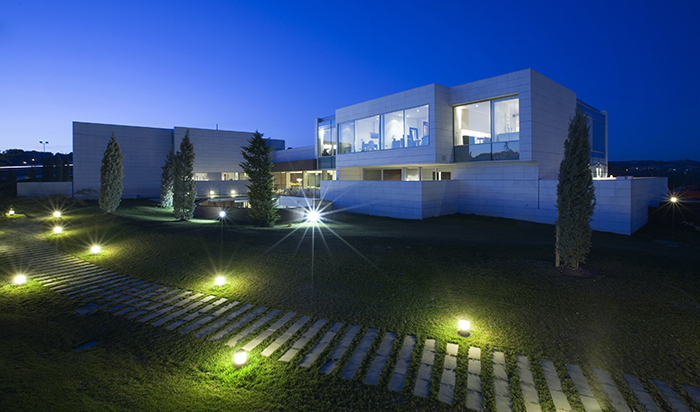 The winery regularly holds art exhibitions and music performances. They are open on Saturdays and most Sundays, but it is always best to call first. 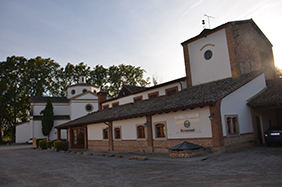 Clos Pons is a boutique winery that has been family-owned and operated since 1945. They specialize in premium wines and olive oil. All of the wines are grown, produced, and bottled on the property. As you drive up to Clos Pons, you immediately sense the family’s respect for the land and feeling of tradition from the rolling vineyards to the buildings made of stone and wood. 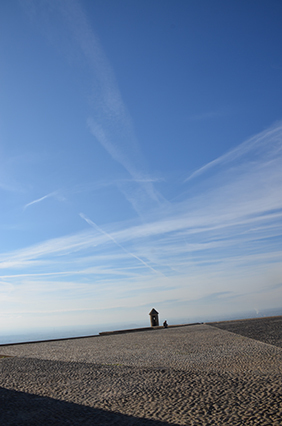 The 100-acre winery is located on the top of a hill, overlooking the vineyards set against the backdrop of the Pyrenees. Thanks to the hot, dry Mediterranean climate with low rainfall in the summer combined with cold winters with cold nights, the vineyards produce healthy grapes that are perfect for winemaking. 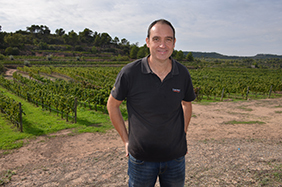 Martí Magriñá i Poblet is the vineyard’s winemaker who grew up in a winemaking family from the area. After stints working in a winery in the Bordeaux region of France, Mirrasou vineyards in California, Chile, and for Codorníu—the cava maker in Catalonia—he became the winemaker for Clos Pons in 2008. It’s clear that people have fun at Clos Pons. They have a wine club, allowing members to have lockers for their wines when they come to visit. They even stage a running race through the vineyards every year. And, they make olive oil … extra virgin and all sorts of flavored oils like orange-flavored, tangerine-flavored, including Tabasco-flavored. A small boutique hotel of eight rooms is planned for the property, opening in 2018. Clos Pons specializes in both red and white wines. They offer grenache, tempranillo, cabernet sauvignon, syrah, marselan, mourvedre, and carignan reds. For whites, they make white grenache, albariño, macabeo, Muscat of Alexandria, and Pedro Ximénez. 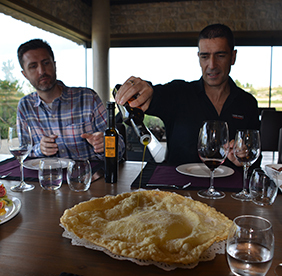 If you are fortunate to have lunch at Clos Pons, you might be served local meats and cheeses, veal scallopine with mushrooms, orelletes—fried pastry—topped with tangerine-flavored olive oil and fruit salad, drizzled with orange-flavored olive oil. 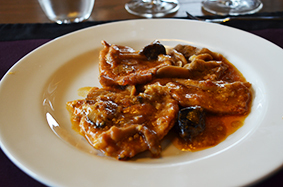 Subscribe to Healthy Aging Magazine for the Clos Pons Veal Scallopine with Mushrooms recipe. Dating back to 1780, the Castell del Remei Cellar offers the opportunity to learn more about the history of winemaking in the area as well as to taste the wines they produce. 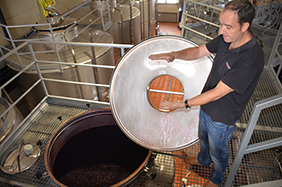 The tour will take you to see the old wood barrels used for aging wine as well as the newer stainless steel tanks. Half of the winery is used for barrel aging and the sight of almost 2,000 French and American oak barrels is spectacular. 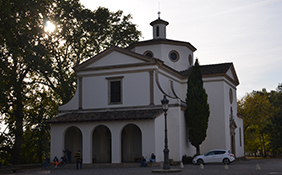 The property has some notable buildings to tour, including the castle, the winery, and the church devoted to the “Virgin of the Remei.” In addition to offering wine tastings, they host cultural events and art exhibitions. There is a restaurant there, and they plan on opening a hotel in the future. 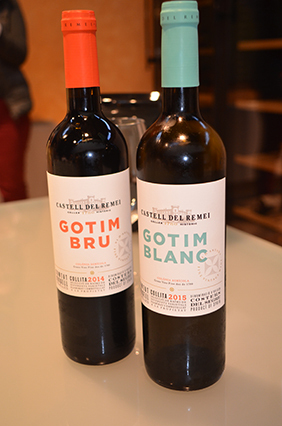 Castell del Remei distributes their wine to 42 different countries from the grapes grown on the property, including merlot, cabernet sauvignon, tempranillo, grenache, syrah, chardonnay, sauvignon blanc, macabeo, and pinot noir. 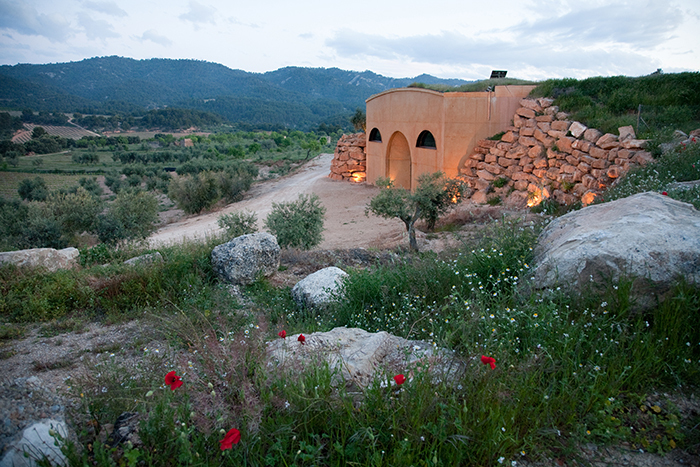 Finca Prats Hotel Golf & Spa is an exclusive, relaxing oasis that’s perfect for a stay after touring the vineyards and wineries. The 40-room-and-suite hotel offers golf, spa services, and a beautiful indoor swimming pool. Relax here and enjoy the spa! Xalet Suis, a small family-run restaurant, is a special place to sample Spanish fare with farm-to-table ingredients. 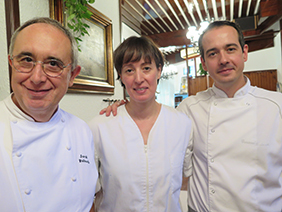 Headed up by chef Jordi Balasch with his two sons, Gerard and Sonia, Xalet Suis offers classical and local cuisine. 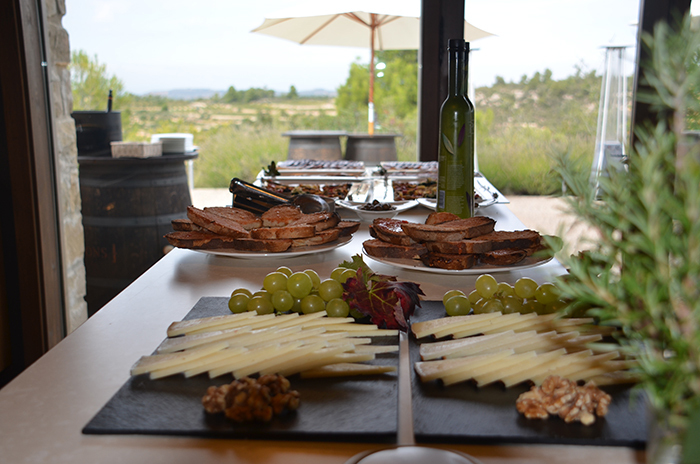 Here you will find appetizers such as the classic Iberian ham, grilled squid and the tiny snails that are a local favorite. Entrée selections include the freshest of seafood, steaks, duck and lamb. True to its name, you can also order fondue … cheese, beef, seafood and even chocolate! 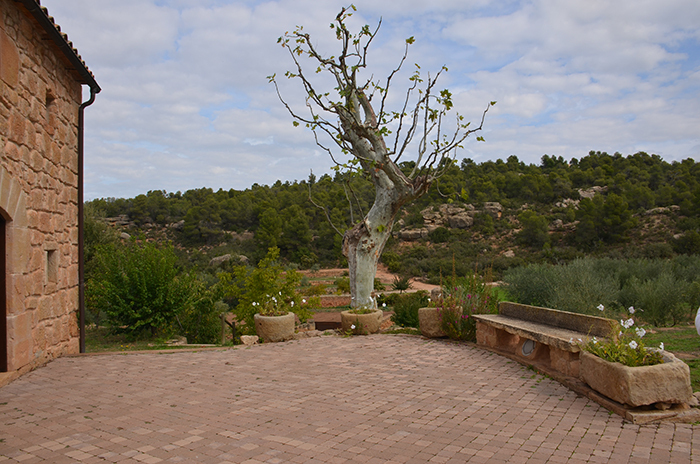 To read the full article about travel to Catalonia, Spain complete with insider tips for what not to miss, subscribe to Healthy Aging® Magazine. 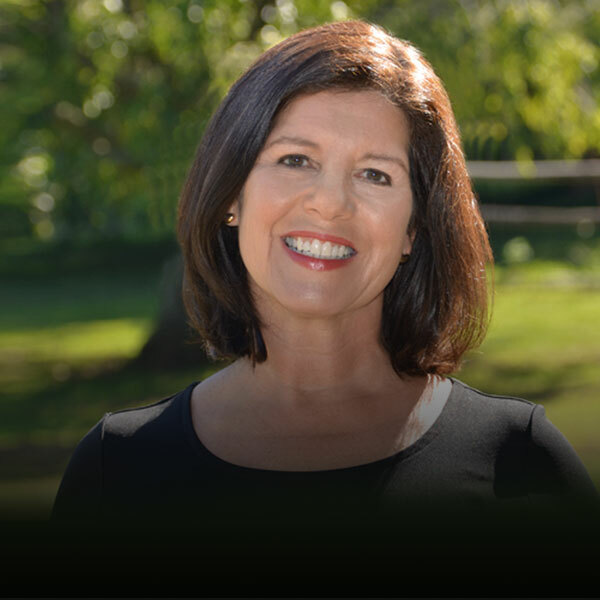 Subscribe here: Healthy Aging® Magazine, the lifestyle magazine that is all about following your passion and what you can do rather than what you can’t.